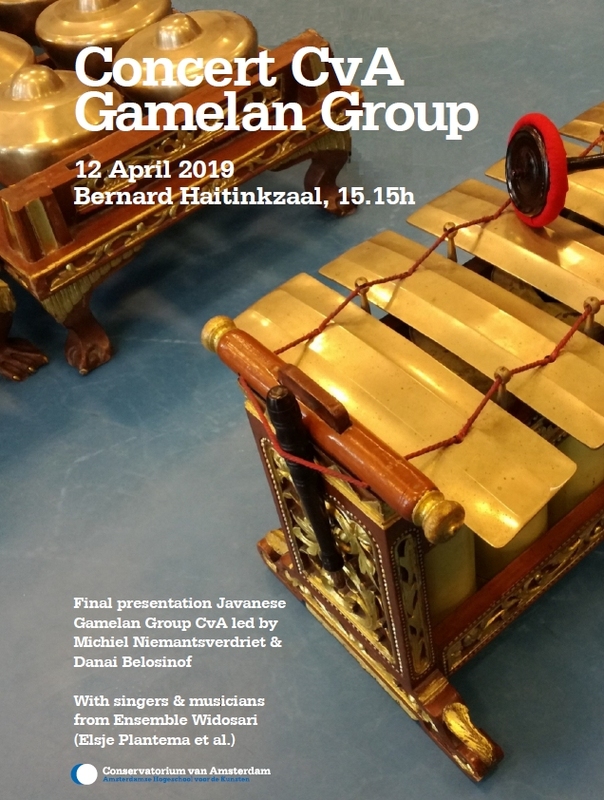 Javanese gamelan by students of Michiel Niemantsverdriet (teacher) and Danai Belosinof (assistant teacher) & guest musicians from Gamelan ensemble Widosari. Students of the Conservatorium van Amsterdam. 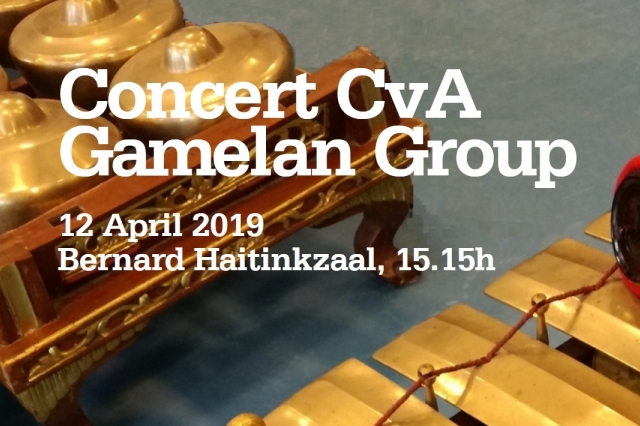 Guest musicians from Gamelan-ensemble Widosari. More information on the CvA website.